Member Spotlight- Raizana Teas: Delicious Teas. Effective Natural Remedies. Iced or hot. Green or black. Tea is creating quite a stir as a health powerhouse that may lower your cholesterol, build your bones, detoxify your liver and prevent stress. And no one does it better than the folks at Raizana Tea. We’re so happy to feature Raizana Teas in this edition of “Member Spotlight” because it means we get to spend the day thinking of, writing about and drinking delicious and healthy Raizana tea! Even if you’re not a tea drinker, you should visit Raizana Teas, located at 2011 Tuolumne Street, near Warnor’s Theatre. The knowledgeable staff will help even the most tea-simple among us find just the right flavor to suit your mood, heal what ails you or energize you to tackle the day ahead! With the holidays coming up, be sure to visit Raizana Teas for gifts for family, friends, teachers, co-workers or maybe pick up a little something for yourself. They have teas that aid in stress-reduction, you know! New to the world of loose-leaf tea? Check out our Raizana Teas 411 below and be sure to visit Downtown Fresno Partnership’s newest member: Raizana Teas. Let’s share the love, Fresno! Raizana Teas is a wholesale and retail eCommerce tea company that ships all around the world. It is run by Sol and Pablo, a married couple who are very passionate about their craft. They have recently opened up a shop in downtown Fresno to increase wholesale production and to make their teas available by the cup ($2 – $2.50) and by the pouch ($3.99 – 9.99)! They also have teaware such as cute infusers, cups, and teapots. Visit their shop to buy, try, and browse their vast and unique inventory. Raizana has an entire line of delicious goodness that will offer you benefits in many areas, and this will benefit individual buyers as well as those looking to purchase herbal tea at wholesale prices. There are fantastic herbal remedies for many different ailments from diabetes to stress, high blood pressure, or sleeplessness. These herbal tea remedies have been updated and modernized to fit into the things we and love and the way we live. Raizana is a safe and fantastic tasting alternative to traditional herbal remedies. 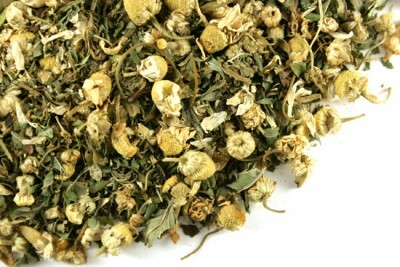 Only natural ingredients and herbs are used to make Raizana herbal tea. There are daily free tea tastings at the shop, but on Wednesdays you can get a whole cup of the featured tea of the day, just bring your own cup and we’ll fill it up! Raizana Teas has been in business for more than 5 years. They recently opened up shop in downtown Fresno to increase production. Although they ship all around the world, now that they have a storefront they want to increase their brand awareness locally. Recently they have made the decision to brew and serve teas in-store to promote their incredible product. They are a DFP member because they are excited about the renovation in downtown Fresno and are eager to be a part of the revitalization. Monday – Friday 10 a.m. to 3 p.m. Interested in becoming a member? Click here to learn more!